Home » Caregivers » Why is family support important? Family is the single most important influence in a child's life. From their first moments of life, children depend on parents and family to protect them and provide for their needs. 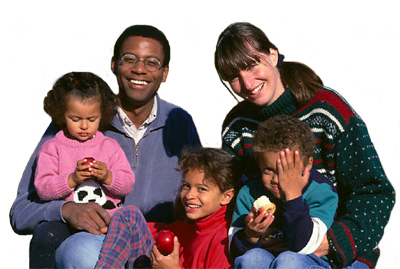 Parents and family form a child's first relationships. They are a child's first teachers and act as role models in how to act and how to experience the world around them. By nurturing and teaching children during their early years, families play an important role in making sure children are ready to learn when they enter school. Children thrive when parents are able to actively promote their positive growth and development. Every parent knows that it's sometimes difficult to do this important work without help, support, and additional resources.